Beijing Hoer International Fairs Co., Ltd..
Zhejiang Hoer International Fairs Co., Ltd..
Add:Room 708,Eastern International Business Center,Jianggan District,Hangzhou,Zhejiang,China. 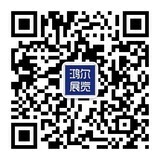 Hebei Hoer Exhibition Service Co., Ltd.
Add:NO. 9A07 Ziyou Building, NO.338 of Heping West Road, Shijiazhuang City,China. Huzhou Hoer Convention&Exhibition Co., Ltd.
Add:Room 2103, Block B, Jinshiji Caifu Building, No.103 of North Hangchangqiao Road, Wuxing District, Huzhou City,China.